A Java KeyStore (JKS) is a repository of security certificates – either authorization certificates or public key certificates – plus corresponding private keys, used for instance in SSL encryption. In IBM WebSphere Application Server and Oracle WebLogic Server, a file with extension jks serves as keystore. The Java Development Kit maintains a CA keystore in folder jre/lib/security/cacerts. JDKs provide a tool named keytool to manipulate the keystore. keytool has no functionality to extract the private key out of the keystore, but this is possible with third-party tools like jksExportKey, CERTivity, Portecle and KeyStore Explorer. Is CN=Xin Meng, OU=mengxin, O=mengxin, L=London, ST=Unknown, C=UK correct? The JKS keystore uses a proprietary format. It is recommended to migrate to PKCS12 which is an industry standard format using "keytool -importkeystore -srckeystore mxsci.jks -destkeystore mxsci.jks -deststoretype pkcs12". key: The KEY extension is used both for public and private PKCS#8 keys. The keys may be encoded as binary DER or as ASCII PEM. cer: certificate, alternate form of .crt (Microsoft Convention) You can use MS to convert .crt to .cer (.both DER encoded .cer, or base64[PEM] encoded .cer) The .cer file extension is also recognized by IE as a command to run a MS cryptoAPI command (specifically rundll32.exe cryptext.dll,CryptExtOpenCER) which displays a dialogue for importing and/or viewing certificate contents. der: Distinguished Encoding Rules, The DER file extension is primarily associated with a DER- (Distinguished Encoding Rules) encoded X509 digital certificate file. File extensions for cryptographic certificates aren’t really as standardized as you’d expect. Windows by default treats double-clicking a .crt file as a request to import the certificate into the Windows Root Certificate store, but treats a .cer file as a request just to view the certificate. So, they’re different in that sense, at least, that Windows has some inherent different meaning for what happens when you double click each type of file. But the way that Windows handles them when you double-click them is about the only difference between the two. 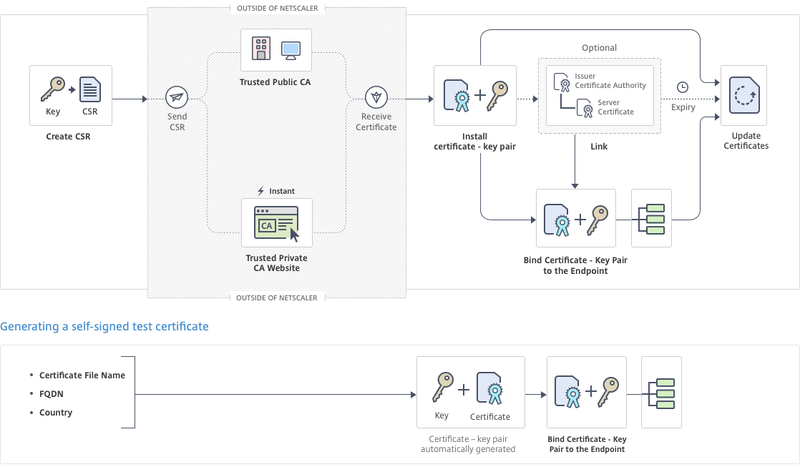 Both extensions just represent that it contains a public certificate. You can rename a file or use one in place of the other in any system or configuration file that I’ve seen. And on non-Windows platforms (and even on Windows), people aren’t particularly careful about which extension they use, and treat them both interchangeably, as there’s no difference between them as long as the contents of the file are correct. keytool error: java.lang.Exception: The destination pkcs12 keystore has different storepass and keypass. Please retry with -destkeypass specified. Warning:  Different store and key passwords not supported for PKCS12 KeyStores. Ignoring user-specified -destkeypass value. -v it signifies “verbose” mode; more information will be output. -list Prints (to stdout) the contents of the keystore entry identified by alias. If no alias is specified, the contents of the entire keystore are printed.